This sounds like a reading challenge that very much aligns with some of my reading goals this year. Per my Personal Series Challenge, I have hopes to complete a bunch of series that I've already started. This, of course, includes longer series by certain favorite authors I have just discovered recently. Of course there are also authors who don't pre-dominantly write series. And then there are authors who write short duologies or trilogies I haven't read. 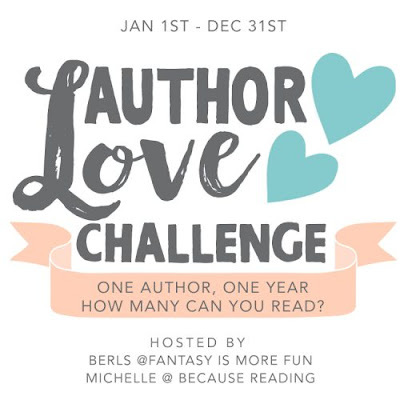 Some specific authors that come to mind for this challenge include: Jill Shalvis, Jayne Ann Krentz (a.k.a. Amanda Quick or Jayne Castle), Juliet Marillier, Nora Roberts, Cynthia Eden, Addison Fox... and well, so many more. Sign up at the link above! Pick an author that you love and wish you’d read more of their books. Set a goal to read x number of books by that author by the end of the year. You can make your goal to read all their books, but all we ask is that your goal be at least 5. Announce your participation, author, and goal in a blog post, goodreads post, FB post, etc. and link up. Have fun finally catching up with a favorite author! As this is the year of the laid back reading life for Ani, I'm determined not to get too overly ambitious with my reading challenges. I will only choose one author. And while I'd love to read all the books by this author, I'm sure it isn't entirely doable. 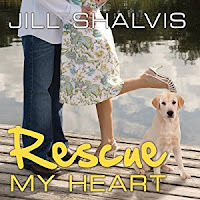 The author I am choosing for this challenge will be Jill Shalvis. My main goal, in particular, is to finish her entire Lucky Harbor series, but I will also be reading a few other's of her books. To make this challenge a little bit easier on me, I will simply set my goal at 7 books, which is the number of Lucky Harbor books I have left to read. And don't forget the three leftover novellas, but I don't know if they would count. 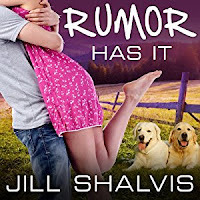 If I happen to pick up more books, then I'll just feel good about myself for it since I also would like to continue on with her Animal Magnetism series (5 books TBR), and as of the posting of this piece, have started into her Heartbreaker Bay series (4 books TBR). 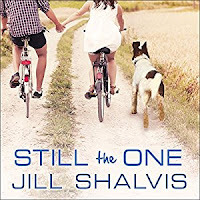 Then there are several other stand alone romances in her back list I've always been interested in. Another author I'd thought about choosing was Jayne Ann Krentz, but really, this author might be better left for the more hefty Read All the Books Challenge, of which I may or may consider participating in. I will be tracking this challenge at a separate page, to be created and posted soon.